If I win a lawsuit against the association, can I recover attorney fees and assessment... - Portuondo Law Firm, P.A. More often than not, the answer is yes. 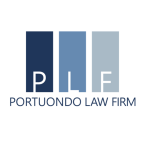 In Florida there are two ways that you can obtain attorney fees. The first way is to be part of a contract that states that the prevailing party is entitled to fees. The other way is if there is a specific statute that anticipates a situation and dictates that the prevailing party will get fees. So for a condo owner, they actually have both of these protections most of the time, because condo documents tend to state that a prevailing party will get fees and they also have Chapter 718 of Florida statutes, which anticipates various disputes between condo owners and condo associations and many times says, that yes, the prevailing party does get fees.